To see this greeting card more clearly please click on it. Christmas is only a few days away, and I just I would throw one more book idea at you before it is too late. 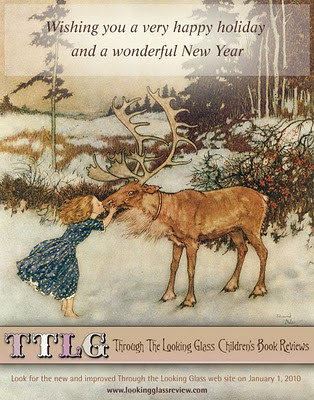 The book below is just a delight to look at, and I am sure readers of all ages and their families will enjoy it. At this time of year I am always looking for titles that would make great gifts. Here are two that I just looked at and reviewed. The journey begins on April 3rd, 1863, and two days later the professor and Zoticus see the Nautilus for the first time. They discover, to their amazement, that they are going to be travelling under the water instead of on top of it. Never having been in a submarine before, the travelers are slightly nervous, but they soon forget about their concerns when they are given a warm welcome by the captain of the Nautilus, Captain Nemo. The captain is delighted to have “like-minded adventurers” on his ship. In this fascinating book, the authors and illustrators combine fact and fiction seamlessly. Readers will not only be entertained by the gripping story, but they will also learn a lot about oceans and the creatures that live in them. With a gripping ending and many novelty features to explore, this book would make a great gift for anyone who likes to read about adventures. Little children have, for the most part, very little control over their lives. Of course, they can cry when they need something, but they don’t get much of a say in what they do. This book gives little children something special because it allows them to stick fingers through holes, turn pages by themselves, and when they open a fold-out page they make something magically appear. When they close the page, they make something magically disappear. Each double page spread presents little readers with a peek-a-boo situation. For example, the second spread shows us a little blue fish swimming across the page. We can see something behind the fold-out page through the peek-a-boo peep holes. What’s there? When the page is opened, children will see an array of blue fishes and the word “blue” written across the fold-out area. With interesting associations to discover, words to learn, delightful collage pictures to look at, and novelty features to explore, this is a book that will give little children hours of fun. 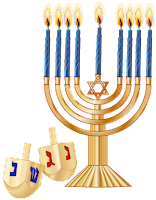 Hanukkah begins at sundown today and I wish all of you who celebrate this beautiful holiday a very happy Hanukkah. Over the years I have reviewed some wonderful Hanukkah books. You can look at the reviews here. Every morning I take my dog Pinot for a walk. On our way down the hill back into the center of town we walk past the duck pond in the park. Most days we stop to look at the ducks and I smile when I see the solitary large white Pekin duck swimming among all the wild ducks. I don't know where he came from, but he appears to be happy and holding his own. Five ducks wake up one winter day to discover that it is snowing outside. There is no time to waste and soon all five are outside in their “bright new boots” and their snowsuits. Down to the pond they go and, after putting on their skates, the little ducks go out onto the ice. They “wiggle,” “topple” and “giggle” as they all fall down and get up again. Then two of the little ducks see a sign and they get a wonderful idea. They lead the way across the ice and straight into an enormous snow bank. Then a snowball fight ensues. What a wonderful time they all have on this snow filled day. With charming, delicate and often amusing watercolor paintings and a simple rhyming text, this picture book celebration of a day spent playing in the snow will give young readers lots of pleasure. Surely there is nothing quite like spending a day outdoors on a snowy day with lots of companions to play with. It's a pity the pond ducks here in Ashland aren't able to bundle up in snow clothes so that they can enjoy a good skate. Yesterday I got an email from David Michael Slater, a writer based in Portland, Oregon. He has written two books that have caused quite a brouhaha. Apparently some people do not like the books because the main characters in the stories "uncover historical facts at odds with traditional Biblical stories." The books are fictional and do not pretend to discuss the bible in any historical or theological sense. Unfortunately David and his books have been verbally attacked in the press and on the web. I have invited David to present his side of the story here on the TTLG blog. I've been asked numerous times in the last few days how I feel about the exponentially increasing attention being paid to the “The Sacred Books Controversy." 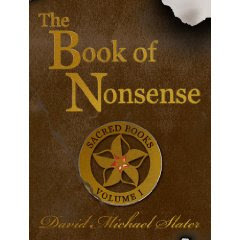 Volume I of the series, THE BOOK OF NONSENSE, came out in October of 2008 from a wonderful, but very small, publisher in Texas, Blooming Tree Press/CBAY. Like most small presses, it had a hard time attracting national reviews. Thanks to bloggers though, word did get out. (See the nearly three- dozen Amazon reviews, for example). 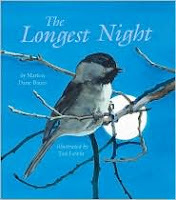 It was nominated for a Cybil and was a finalist for the Publisher's for Children's Best Books 2008 list. Nonetheless, it made nary a blip on the national radar. Volume II was just released, and it seems to have brought out the worst in some folks. I'm happy to say it's also bringing out the best. It's difficult to describe the controversy without divulging critical plot points, but the gist of the issue here is that the series turns in a "Da Vinci Code"-like direction as the teen protagonists uncover historical facts at odds with traditional Biblical stories. The book, mind you, is fiction and has no aspirations to be taken as anything else. This, as you might not be surprised to know, isn't good enough for some. Here are some recent headlines. This from a suburban Portland paper: "Beaverton teacher’s latest tome tinkers with sacred texts” and “Sacred Books’ series may be banned by Christian Groups for fictional recounting of Bible stories"; This from Ron Charles of the Washington Post: "High school teacher in Oregon sees condemnation by conservative Christians spurring sales of his YA SACRED BOOKS series"; and this from Margie Boule in The Oregonian: "Beaverton teacher's teen adventure series is stirring up a storm.” Perhaps you can predict the reactions, but feel free to go here to read them, and please feel free to join the conversation (and see what I mean about the best and worst coming out): http://www.oregonlive.com/news/oregonian/margie_boule/index.ssf/2009/12/beaverton_teachers_teen_advent.html. It seems someone has been trying to hack into my website since this all began, which is to say the least, very concerning. I'm not sure how to give an honest response about my feelings. I certainly never dreamed of getting my books noticed because people want to burn them. They were supposed to be celebrated for their unique combination of wit and wisdom and clever, thought-provoking plots. (Stop smirking!) But now, after publishing nearly 20 small press books (picture books, teen and adult novels) in the last nine years—not one of which garnered any attention remotely close to this—what I can say? I'm thrilled. I'm handing out cans of lighter fluid and asking only that folks buy them before they burn them. This is the real measure of how far I've fallen. But hark: in the span of two weeks they've gone from Beaverton to Boulé, and now requests have come in for copies from The Jim Lehrer Show, The Progressive, Publishers Weekly, and the AP. Soon the chains might even notice them (gasp!). Taking umbrage at this point would be disingenuous. So, I'm not taking it. 'Tis the season anyway to remember that it's better to give than to receive. I can’t say how much I appreciate the help beginning to pour in, help in the form of e-mail, blogs and a general message that people care when censorship rears its ugly head. If folks want to spread word about my books to express their righteous anger, I can only say…thank you. I plan on making sure that I read and review these books for myself in the near future. It has been one of those days. I discovered that what I thought was going to be a small - ish - job is going to be a big one. I took a deep breath and dived in. Only to encounter numerous computer related technical difficulties. Things snowballed and snowballed and now the job looks like a mountain in front of me. Not only is it enormous but it is also covered with a glacier and snow. It looks insurmountable. I was beginning to truly wallow in my anxiety and self pity when I looked at the TTLG Bookish Calendar and saw that on this day in 1955 Rosa Parks took her famous stand. Suddenly trying to get my new website ready for January 1st does not seem that important. After all, I can go where I wish, say what I wish, vote freely, and I can go about my life without having to worry that someone is going to make my life miserable because I am different in some way. You can find some great books about Rosa Parks here, and I do hope you get a chance to look at the first one, Rosa, by Nikki Giovanni. This book greatly moved me and it helped me better understand the American Civil Rights movement. 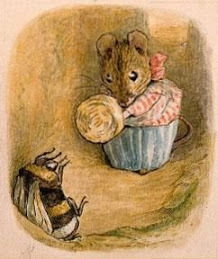 Today is also the birthday of author/illustrator Jan Brett. 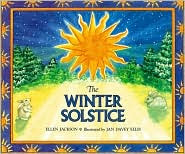 Jan's picture books are a joy to look at, and readers of all ages love her delightful pictures.